Leominster - John E. Carrescia, 69, of Leominster, died November 19, 2018, in St. Vincent Hospital, Worcester, after being stricken ill at home. He was born in Leominster, February 9, 1949, son of the late John S. and Edith (Spring) Carrescia. John graduated from Leominster High School, Class of 1967. He served in the US Navy from May 1969 thru Feb. 1971 attaining rank of EN. He received the National Defense Service Medal. John worked as a steel worker at Simond Saw & Steel for 34 years. John was a member of St. Anna's Parish, Monoosnock Country Club, where he was an avid golfer, Global Fitness and F Troop. He also enjoyed hunting and fishing. He was a dedicated family man. His two grandchildren were everything to him. John is survived by his wife of 49 years, Sandra A. 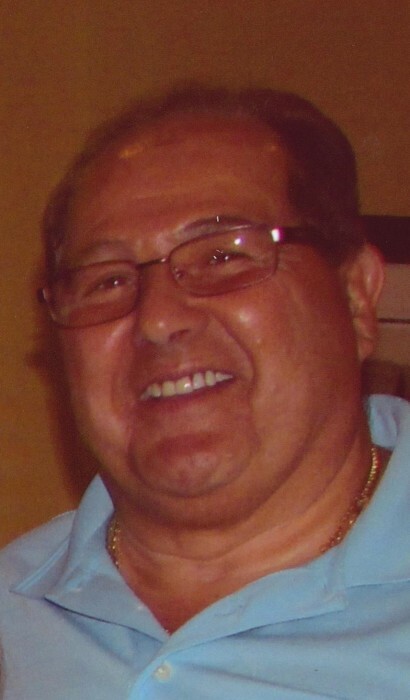 (Gravelle) Carrescia, of Leominster, one son; John P. Carrescia and his wife Pamela, his two grandchildren; Amanda M. Carrescia and Christopher C. Carrescia all of Winchendon, one brother; Philip J. Carrescia, of New York, two sisters; Rita B. Hill of Leominster, and her children; Dani-Ann Ciampo and Debbie Boucher, his sister, Mary E. Kimball and her husband Charles "Chip" Kimball of Leominster, one uncle; Eugene Carrescia Sr., of Leominster and his children; Eugene Carrescia Jr., Diane Cote, Lisa Carrescia and Linda St. Aubin. John was predeceased by his son, Craig S. Carrescia in 2003 and by his nephew Michael Hill. John's funeral will be held Saturday, November 24, 2018, from Wright-Roy Funeral Home, Inc., 109 West Street, Leominster with a Mass of Christian Burial at 11:30 a.m. in St. Anna's Church, 199 Lancaster St., Leominster. Burial with Military Honors will follow in St. Leo's Cemetery. Calling hours will be held Friday, November 23rd from 5:00 - 8:00 p.m. in the funeral home.